Today is Mother’s Day. We wish all the mothers in the world and also to those who are playing the role of a mother, a very Happy Mother’s Day. Mother’s Day falls on 8 May 2016 this year. Every year, this celebration is held to dedicate a day to the mothers all over this world; to remember their sacrifice and hard work done to raise their child up. Of course, we do not just remember our mothers on this day and it should be throughout the year but it is a good way to let our mothers be pampered on this day. We had the pleasure of celebrating our Mother’s Day at Evergreen Laurel Hotel Penang on 7 May 2016, which was a Saturday night. 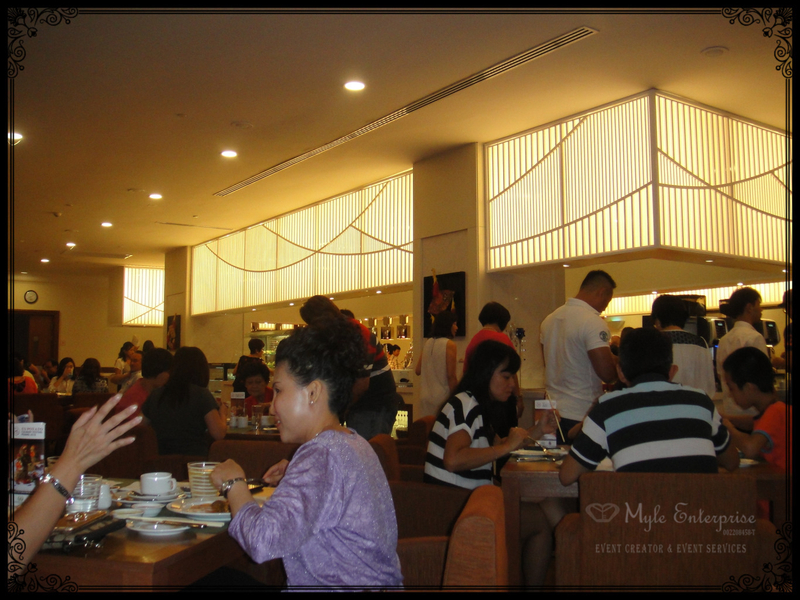 Buffet dinner was served at their Café Laurel with sumptuous cuisines ranging from oriental to western dishes. 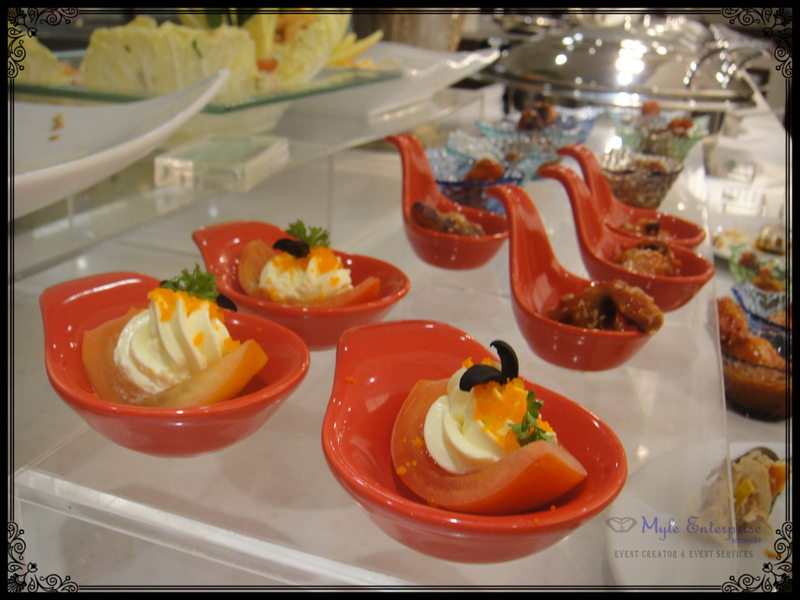 Nice food presentation for buffet at Café Laurel. It was a full house that night with all the tables occupied. Business must be good for them with many supporters of their delicious food served. Aside from celebrating Mother’s Day one day earlier, there were a few tables celebrating birthdays as we heard birthday songs being sung a few times that night. There was also a high school reunion taking place as we were told by guests at one of the tables in the restaurant. The restaurant was fully occupied with many celebrations being held that night aside from Mother’s Day. 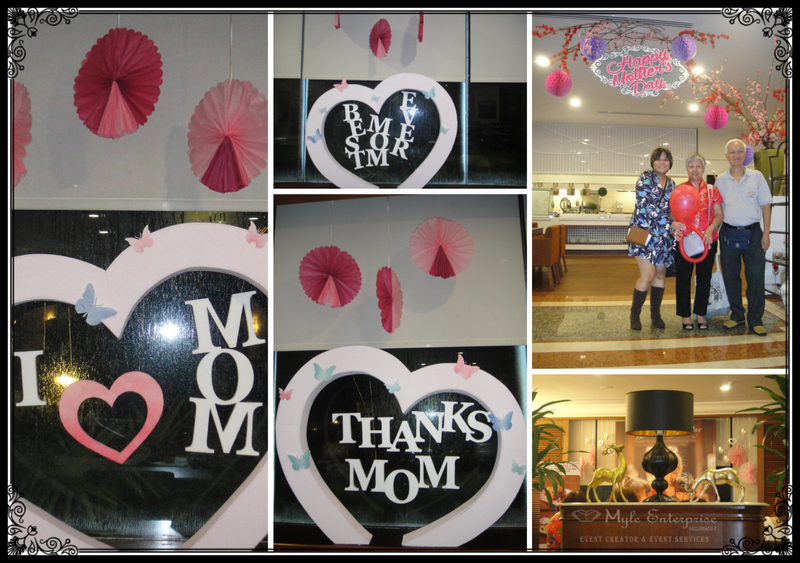 The place were decorated nicely with many decorations revolving around Mother’s Day. We were told by their restaurant manager that their theme for Mother’s Day this year was Nyonya theme and there was a huge banner hung up in their restaurant with the setting of Nyonya theme. 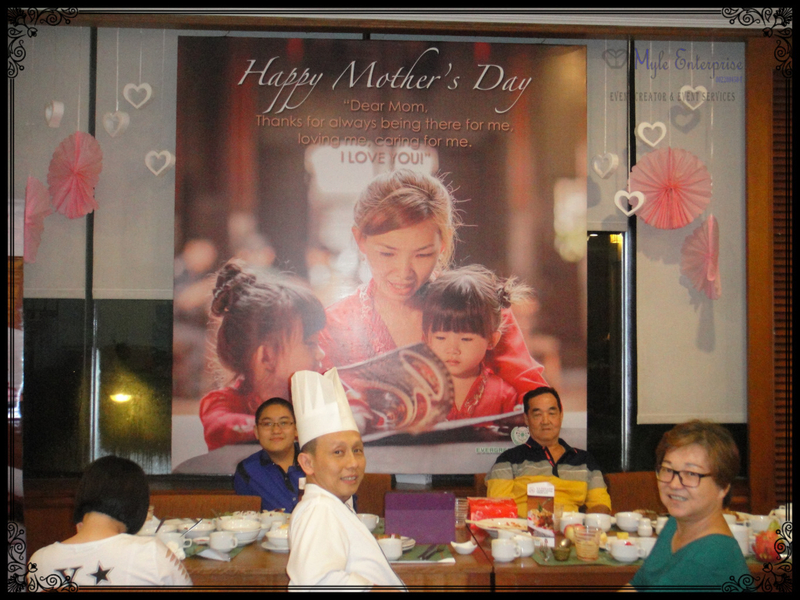 The Executive Chef of Evergreen Laurel Hotel Penang, Mr. Ho, sitting at the table in front of the Mother’s Day banner with some of the frequent customers of their restaurant. The lady on the right, Madam Ooi, said she came to support the restaurant for that night and saw a full house at the restaurant. Bottom right : Elegant looking decoration found in Café Laurel. The team at Evergreen Laurel Hotel Penang’s Café Laurel were busy serving the guests that came to their restaurant that night. There were many cooking stations with their chefs busy making the food while the floor team were serving the dining guests and the reception team were greeting the guests with their warm hospitality. Right : One of the chefs at the crayfish cooking corner posing with the ladies that were dining at the restaurant that night. After the dinner, many guests proceeded to the hotel’s lounge area and some went to visit another drinking and dining spot located on the hotel’s lobby floor, where music and singing were heard. It was indeed a lovely Mother’s Day celebration at Café Laurel. They will be having more promotions and events in the future, so do not miss out on those. We have made a special video on this celebration at Cafe Laurel. Enjoy watching the video.